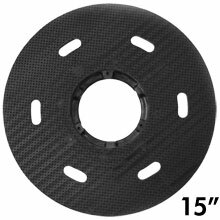 PAD-LOK Tufted Pad/Disc Driver - 15" Dia. 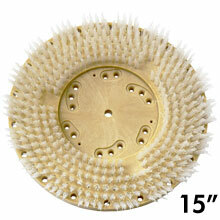 MAL-LOK Style I Tufted Pad/Disc Driver - 15" Dia. 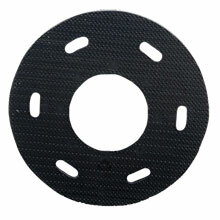 MIGHTY-LOK Polymeric Face Pad/Disc Driver - 15" Dia. 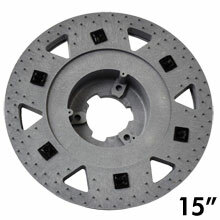 SURE-LOK Polymeric Face Pad/Disc Driver - 15" Dia. 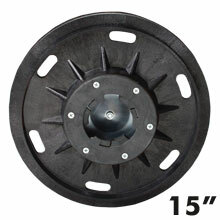 TRI-LOK Polymeric Face Pad/Disc Driver - 15" Dia. 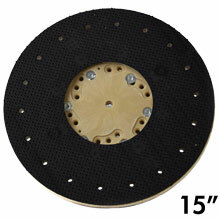 Heavy Duty Sandpaper Pad/Disc Driver w/ Clutch Plate - 15" Dia. 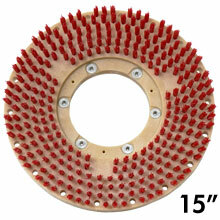 Economy Sandpaper Pad/Disc Driver w/ Clutch Plate - 15" Dia. ORBO-LOK Sanding Screen Pad/Disc Driver w/ P-200 Clutch Plate - 15" Dia. Malish Mighty-Lok 3 Floor Machine Polymer Pad/Disc Driver - 15" Dia. 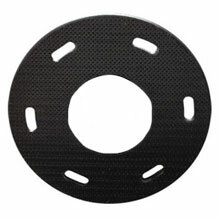 Mighty-Lok Pad Driver Face - 15" Dia. 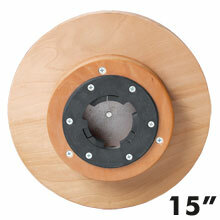 Mighty-Lok 3 Pad Driver Face - 15" Dia.